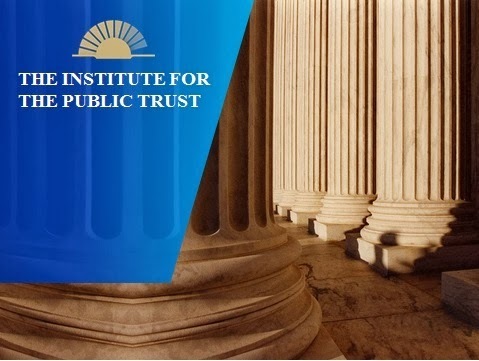 I run The Institute for the Public Trust. 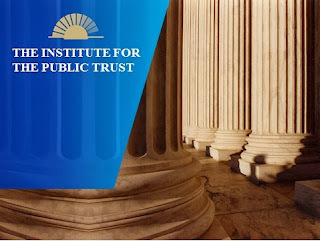 ‘The sole mission of The Institute for the Public Trust is to find, recruit and train the next Thomas Jeffersons, James Madisons, Benjamin Franklins and Alexander Hamiltons for the state of North Carolina and the nation. Seldom do we see people of such caliber and talent offer to run for any public office nowadays. They are ‘out there’; they just don’t run for political office anymore for a wide range of reasons. Here is the on-going collateral damage of such political machinations we see on traditional and social media every day: A draining of the pool of great people who otherwise might consider using their immense talent to do the basic job of running our self-government at every level. Name-calling Americans can handle. But what are the standards of fair play in politics today? Can anyone make an ambiguous legal felony charge against any political figure at any time anywhere? Every charge of sexual assault is serious. Each one should get immediate attention from law enforcement authorities as soon as it is reported. Any false accusation is serious as well. 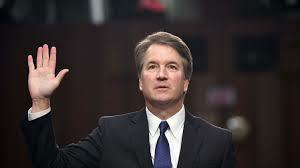 The troubling thing about these last-second accusations from 35+ years ago is that Brett Kavanaugh has been vetted and background-checked 6 different times by the FBI for his previous stints at the White House and as a Judge on the US Court of Appeals over the past 28 years. None of these accusations came up after exhaustive research and investigation. Had any cases of abuse or harassment been uncovered earlier, Judge Kavanaugh would have been correctly not confirmed to any of these important high-level public service positions. Those were very important public policy and legal jobs no one should have if proven guilty. Either the FBI has not been doing its job or hundreds of people who have known or worked with Brett Kavanaugh since 1990 have been colossal liars engaged in a massive coordinated conspiracy that concealed a potential dark side for the past 3 decades to protect him for a future Supreme Court nomination. Members of the 2006 Duke lacrosse team were ‘proven’ guilty by the media, pundits and news commentators before any evidence was presented. Once the evidence was fully presented, the Duke lacrosse players were exonerated and the media was discredited along with DA Mike Nifong who was publicly humiliated and forced to resign his law license. If unilateral character destruction methods such as this last-second attack on Brett Kavanaugh succeed without evidence or corroboration, no one will be the winner in the end. Every Democrat considering election or appointment to public office will become a sitting duck for exactly the same salacious legal accusations by Republican operatives and hit groups and vice versa. If the charges against Judge Kavanaugh are proven true, voters should rightly punish the 9 Republican Senators up for re-election at the polls next month for supporting him. If the charges against Judge Kavanaugh are proven specious and untrue, voters should rightly punish the 24 Democratic Senators up for re-election for supporting false testimony against Judge Kavanaugh. We may never get the next James Madison or George Washington to run for public office if this continues. We may never get anyone to run again. We would still be languishing in the throes of the economic malaise we endured for 8 long years under President Barack Obama. The same policies that never produced more than 1.9% annual GDP growth for 8 years from 2009-2017. 1 million more people would be on Medicaid nationwide and 2 million more people would be collecting food stamps because they couldn’t find a job. Enrollment in Temporary Assistance for Needy Families (TANF) would be 12% higher than 2.3 million today. Enrollment in the Supplemental Nutrition Assistance Program (SNAP) would be far higher than 40.7 million reported in January 2018, the lowest since May 2010. The number of people on Social Security Disability Insurance (SSDI) would far higher than 8.6 million in March which was the lowest level reported since February 2012. The Dow Jones Average would be 20,000 today, perhaps 21,000. Not 26,062 as it closed Monday. We would not be experiencing the benefits of 3.5% to possibly 4% real GDP growth rates we are now seeing. Businesses would continue to suffocate under the staggering flood of never-ending new rules and regulations promulgated under President Obama. Hillary Clinton would have kept all of them in force and expanded them in number; under President Trump, thousands have been rescinded and new regs have been reduced to a dribble. IF such an explosion of confidence had happened during any of the 8 long years that President Obama was setting policy for our nation, everyone would have known it, recognized it and applauded him for getting the job done. The explosion of confidence never happened under President Obama. It would not have happened under Hillary Clinton either because she vowed to continue and expand every one of President Obama’s misguided policies. 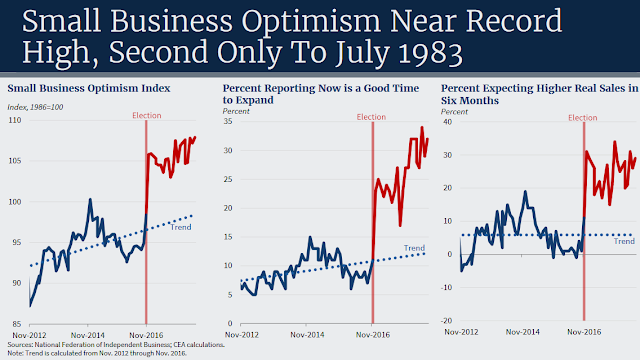 This new-found confidence in the private sector is working. Friends, neighbors, family members and people everywhere are getting new higher-paying jobs instead of job rejection letters. Millions more of our fellow citizens of all ages and races are working today and providing for their families. The national Democratic Party wants the public to believe that a sign of government policy success is how many people are on government assistance. They want more socialism which means more government control of your lives, not less. We believe the reverse is true. The more people are independent and off of government assistance because they have a good job, the better it is for them personally and for the nation as a whole. Think very carefully about yourself first and your personal economic interests, dreams and desires and those of your children and your friends when you vote this fall. Do you really want to give the keys back to Congress to the same Democratic leaders who supported every failed economic policy put forth by President Barack Obama? In 1999, Gallup found a vast majority of Americans thought President Bill Clinton was personally immoral but they liked the fact they personally benefited from the results of the economy that happened under his watch. You may personally dislike President Trump and the way he does things. But be wary of electing people to Congress and legislatures who want to reverse everything that has worked so far under his term. "Believe In Something. 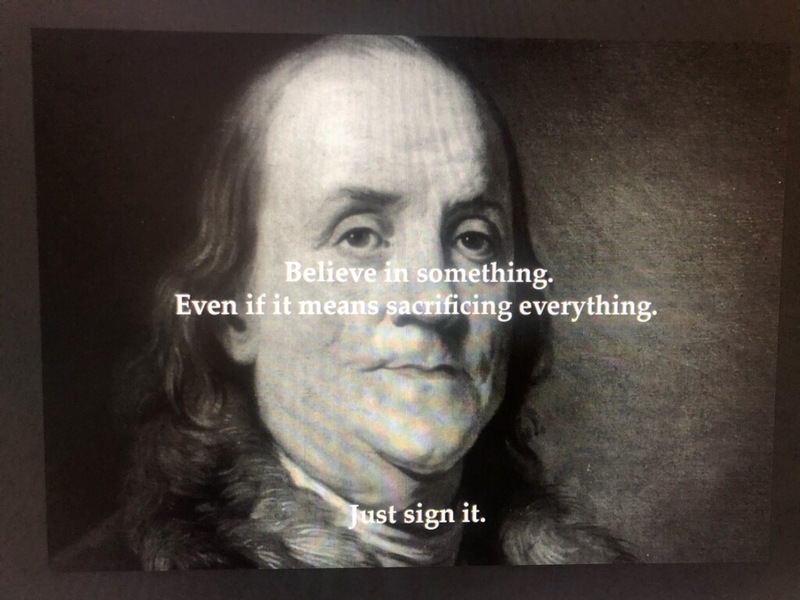 Even If It Means Sacrificing Everything. #JustSignYourName"
How odd was it that in the same week Nike introduced its “Believe in something. Even if it means sacrificing everything” #JustDoIt campaign, the vaunted New York Times would publish an ‘anonymous’ op-ed piece about the Trump White House by someone who felt so strongly about its dysfunction…they didn’t sign their name to it. Does this person not feel strongly enough about the dangers of the Trump White House to sacrifice their own job? Nike probably won’t sponsor this person. Or will they in absentia? Is this person old enough to remember the heroism of AG Elliot Richardson and Deputy AG William Ruckelshaus when they resigned instead of bowing to the pressure of President Richard Nixon in 1973 after he demanded they fire Archibald Cox, the special prosecutor investigating Watergate? Had the Founders stayed ‘anonymous’, maybe they could have avoided the gallows noose had they lost The War. The publication of the anonymous op-ed piece in the New York Times by a ‘senior Trump Administration official’ last week has broken new ground in the annals of journalism. Who in their right mind would ever publish such an ‘anonymous’ document? How do we know it is even a ‘real’ person who wrote it? What if some junior staff person at CNN drafted it and submitted it to the New York Times editorial board and they published it because they hate President Trump so much that they will do anything to take him down? After all we have seen in traditional and social media lately, are we 100% sure this is not some planted hit piece purely for political purposes? At the beginning of the Republic, there were hundreds if not thousands of small newspapers around the 13 colonies. Hardly any of them pretended to be totally objective, totally non-partisan journalistic news outlets. The more partisan they were, the better were sales of their newspapers. The more incendiary their attacks against the Federalists in power or the Democratic-Republicans who followed later, the more papers they sold to the people who agreed with their point of view. James Callender was a master of disaster when it came to publishing horrible and totally bogus claims against political opponents of his friends James Madison and Thomas Jefferson. Most of the time, Messrs. Madison and Jefferson funneled the information they wanted Mr. Callender to publish in the first place. The factual news was secondary to the spreading of their side of the story and their preferred points of political philosophy as it pertained to the new government. Have we gone back to the future where the venerated Grey Lady of American journalism that has operated under the banner ‘All The News That Is Fit To Print’ for a century has descended into being a mere propaganda arm of the left-wing Progressive movement and ‘The Resistance To President Trump’? Here’s our policy at the North State Journal: If you are not brave enough to sign your name to an opinion piece, we will never publish it. We might have taken maybe 1 journalism course in college among our various writers but even we know that publishing such anonymous op-eds is wrong. It is dead-wrong for the country, our body politic and for American journalism. Men and women of integrity in American politics over time have risen above such cowardly behavior and either challenged powers-that-be publicly and face-to-face or, as we saw in the case of Nixon’s Watergate fiasco, resigned rather than serve under corrupt leadership. We wish more men and women of integrity on both sides of the aisle would stand up for what is right. The election process in North Carolina is broken. More specifically, the process in-between elections is broken. Too many lawyers. Too many lawsuits. Too many unelected judges inserting themselves into what is constitutionally a legislative issue. ‘The purpose of MAD is to prevent the use of nuclear weapons in the first place’. People have unleashed every imaginable legal weapon in North Carolina to challenge every redistricting map and every election since 1982. It is time to call a truce. Call it ‘The Old North State Armistice’ if you want. Can we all agree to get back to the days where legislative districts are drawn by the state legislature and people in those districts can get to know their elected representatives for more than 1 election cycle? 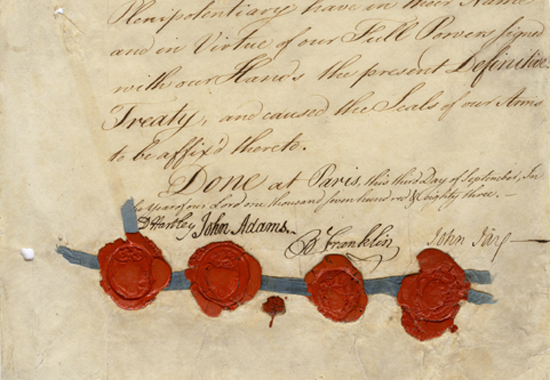 The US Constitution is clear about who has the right to draw congressional and legislative districts after every decennial census: the state legislatures. The Founders did NOT give that crucial apportionment power to the President; Congress, US Senate, any state governor or any unelected member of the judiciary, including the US Supreme Court. They could have. But they didn’t. They purposefully gave that critical power to the duly-elected members of each state legislature. The Founders realized that times change, people change and young adults grow up with the changing dynamics of life. They realized the best way for a democratic republic such as ours to accommodate such change would be to give voters the ability to change their elected representatives with the most power, Congress and the state legislatures, as often as possible. Two years is a short period of time to tolerate the abhorrent policies of the opposing party, no matter how bad you might think they are. Many on the right honestly are shocked the country survived 8 years under President Obama. Take it from someone who toiled in the salt mines of the minority party for over a decade in Congress from 1985-1994. Being in the minority by 85+ votes stinks, plain and simple. It is degrading; it is depressing and it is painful. Being in the minority builds resolve to do whatever it takes to win the next election. Maybe it is organization. Maybe it is fundraising. Maybe it is changing positions on issues that matter to the voting public. In 1975, there was just 1 GOP senator fighting against 49 Democrats in the state senate and just 9 Rs vs 111 Ds in the NC General Assembly. Now that was a prime example of extreme partisan gerrymandering given that North Carolina had voted statewide for Republicans Richard Nixon for President in 1968 and 1972 and Governor Jim Holshouser and Senator Jesse Helms in 1972. In 1994, despite the best efforts of Democrats in 1991 to gerrymander legislative districts nationwide including North Carolina, Republicans scored a massive electoral upset and took control of Congress for the first time since 1954 – 40 long years. In 2010, despite the best efforts of Democrats for over 100 years to keep Republicans in the deep minority, Republican leaders out-organized, out-raised and out-spent Democrats to take over control of the NCGA, despite the gerrymandering accomplished in 2001 by the Democratic majority. Let’s agree to lay our legal swords down and let voters do their constitutional function.